The Welsh county of Ceredigion, known for centuries in English as Cardiganshire, has long been associated with a reguardant lion (looking backwards). This design was attributed as the arms of the ancient Welsh ruler Gwaithfoed and his kingdom of Ceredigion, from which the modern county derives. Sources indicate that the arms attributed to Gwaithfoed were in fact originally gold with a black lion. describes a black lion with red claws, looking backwards, as the arms of “Gwaythe Voyde”, “sometime Lord of Cardigan in Wales”. In heraldry the colour black is termed ‘sable’ abbreviated to ‘sa’, yellow is ‘or’ and red is ‘gules’, (gu). They appear in the top left canton of a quartered pattern used by the local council. 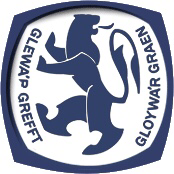 Gwaithfoed’s reverse facing lion is also used, in varying colours, as a club badge by Aberystwyth Rugby Club. 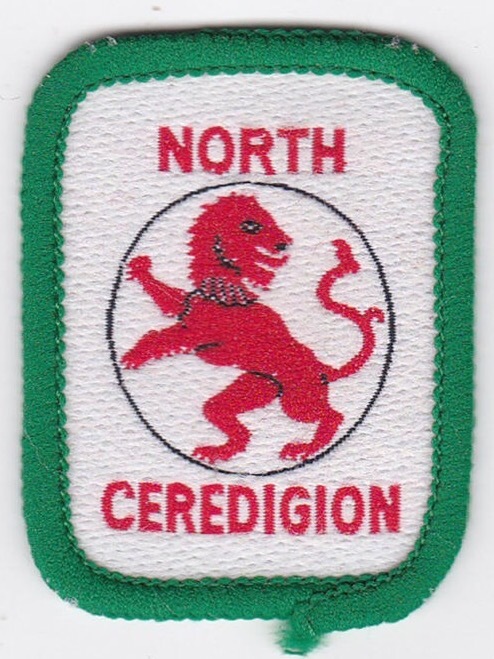 is the badge of the county’s North Ceredigion scout branch. 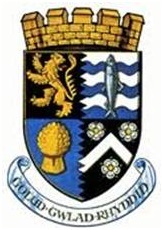 as the county flag. In 2011 the flag of Buckinghamshire was registered by the Flag Institute on the basis of its evident and indisputable traditional status, without receipt of any registration request, seemingly on the basis that the circumstances of the long standing traditional emblem were so obvious as to make a request unnecessary. Moreover, unlike the ultimately registered Buckinghamshire flag at the time, this design is already flown, as seen above and is commercially available here and here. The precedent having been set and with the same circumstances applying in this instance, this site recognises the gold reguardant lion on black field of Gwaithfoed as the county flag of Ceredigion. This entry was posted in Ceredigion. Bookmark the permalink.